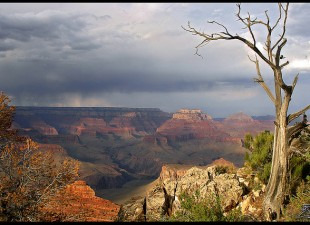 Urge President Obama to Protect the Grand Canyon ! PLEASE SIGN ! ! Absolutely NS&S. Your signature has been recorded. We do ask a lot from a man that has both hands tied behind his back by a Congress with no guts, no leadership and mostly NO vision for this country. Let's see Obama generating the bill first Kit. Noted and signed. L♡ve ☮ Peace. Noted and signed gladly for a the beautiful Grand Canyon Watershed. It should be a national treasure. Signed for sure. One of my favorite places. Very gladly signed. Noted. Thank you, Cher. Noted and signed. Thanks, Cher. Seems like nothing is off-limits anymore. Signed and noted - thank you! Thanks for posting the link Cher. Signed and noted. Why aren't the neo-con republicons of AZ protecting it? Spending too much money on catching illegals and setting up tents, I presume. Signed & noted, Thank you Cher. Noted and signed: Thanks for sharing. Noted and gladly signed. Thank you for sharing this important petition, Cher. The Grand Canyon is a natural wonder of the world. It must be protected from any and all harms by man. Noted and signed, thanks Cher. Signed. I am so happy to see how many signatures there are for Grand Canyon! I stand with Kit B. and Sheila D. Signed hopefully and sadly noted. S & N, thanks Cher, you are awesome!! Notato e firmato. Grazie Cher. President Obama should protect the Grand Canyon and any other iconic thrething propities. I have always thought the Grand Canyon should have been a National Monument. It's like God put it there to make us stand back and say, "WOW - Now, that is beautiful to the max!"